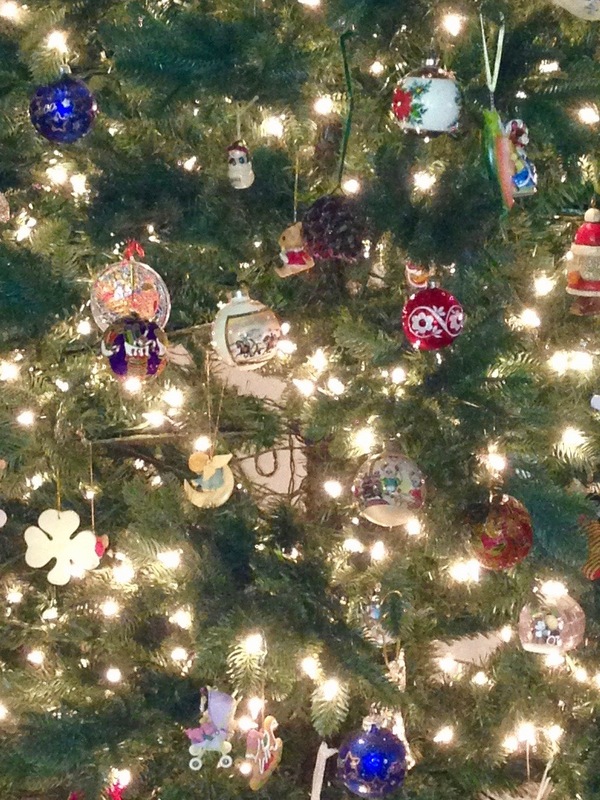 We invite everyone to the annual December Potluck on Thursday December 13th at 12:30. “Hatari” by Karen Donobedian. In the collection of Dawn White. 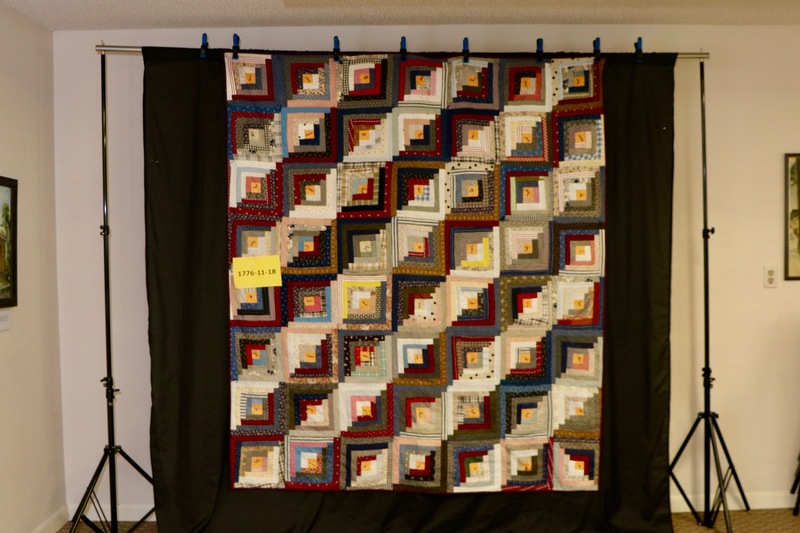 These are quilts displayed by Dawn at the November meeting. Click on a photo to enlarge. Veterans Quilt Awards: When the December 13 meeting starts at 12:30, we’ll celebrate four local veterans by awarding them each with a beautiful quilt from our Veterans Quilt Project. The veterans are: Merlin “Skip” Lovell, US Navy, Toledo; Robert “Trucker” Howe, US Marines, Toledo; Don Morrison US Navy, Newport; and Don Taylor, US Navy, Siletz. Potluck: After the awards we eat! Bring a Christmas placemat (if you made one), plate, utensils and a dish to share. Label the dish if it contains nuts, shellfish, gluten-free, etc. If you can’t cook for that day, come anyway. There’s always lots and lots of food! Remembering the Less Fortunate: Traditionally, members are also encouraged to bring money or a food item to donate to the Food Share of Lincoln County. Quilt Show Subcommittee Sign-ups: The quilt show co-chairs (Jackie Stankey, Darcy de la Rosa and I) will be announcing (ta-da!) 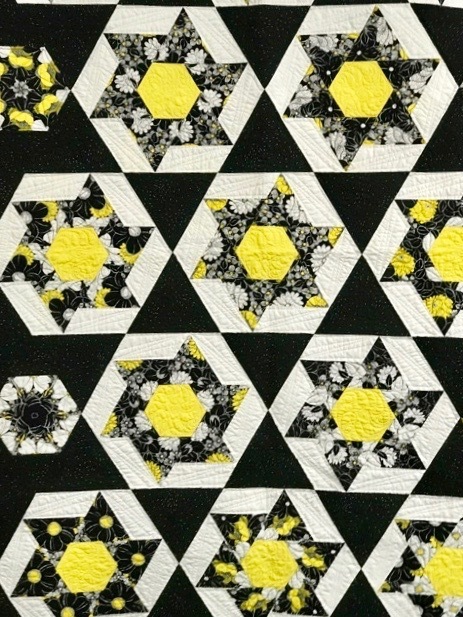 the 2019 Featured Quilter (more appropriate fanfare). We met for the first time this month. 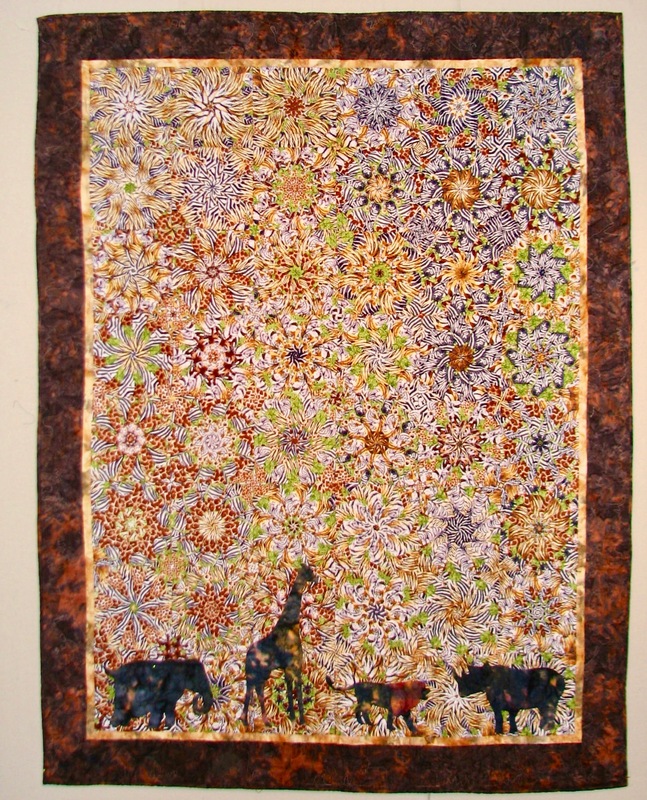 We’ll also have the quilt show subcommittee signup list available. 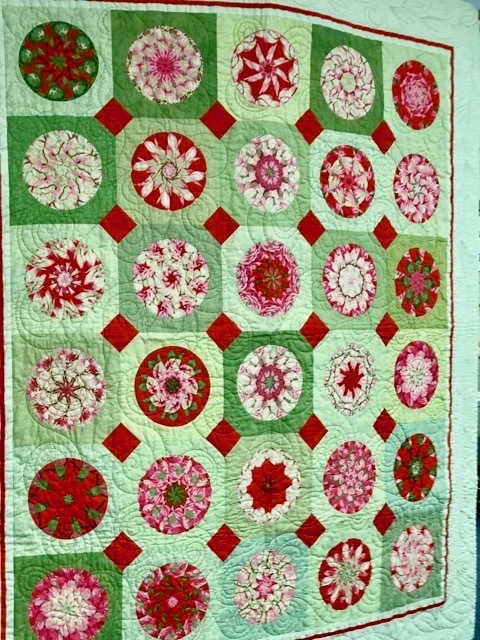 Nan’s lovely quilt that she brought to Quilt Documentation in November. Do You Have an Outstanding Check You Haven’t Cashed? If you have been given any reimbursement checks from the guild treasurer be sure to cash them as soon as possible and certainly before December 31st. Otherwise you might find that they have been voided. 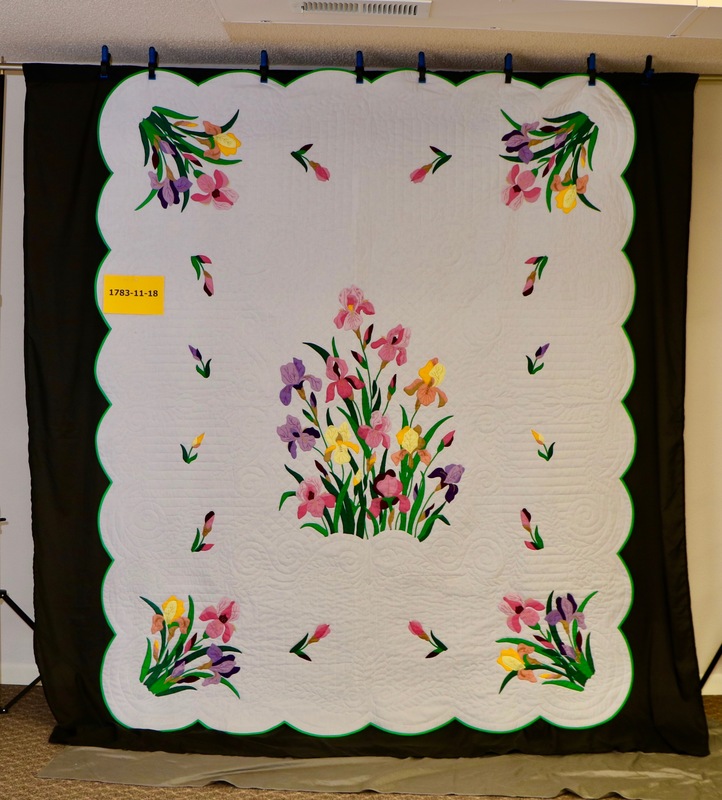 Vintage Iris Quilt Kit made by Toni Brodie. Documented at November Documentation meeting. The committee has been very productive.! This year 154 quilts have been distributed, 52 quilts are in inventory, 5 Teddy Bears, 12 Sit Upon Pillows, 47 totes, 35 Burp Rags, 10 Christmas Stockings and 33 Hospital Pillows have been made. URGENT! We have delivered 8 Christmas stockings to the hospital for the December babies, and I have been now told there are 17 babies expected in that month. We gave out 20 of these stockings a while ago, which only had to be sewn together, but only 8 have been returned. PLEASE call me asap (661-904-8130) if you have one or more of these stockings to complete, so we can get them done and delivered to the hospital before December. As we all know, these little ones have a certain mind of their own and wait for nothing and nobody to arrive! 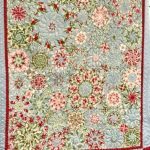 The Threads of Life Quilt: Please help out on January 19th!.. 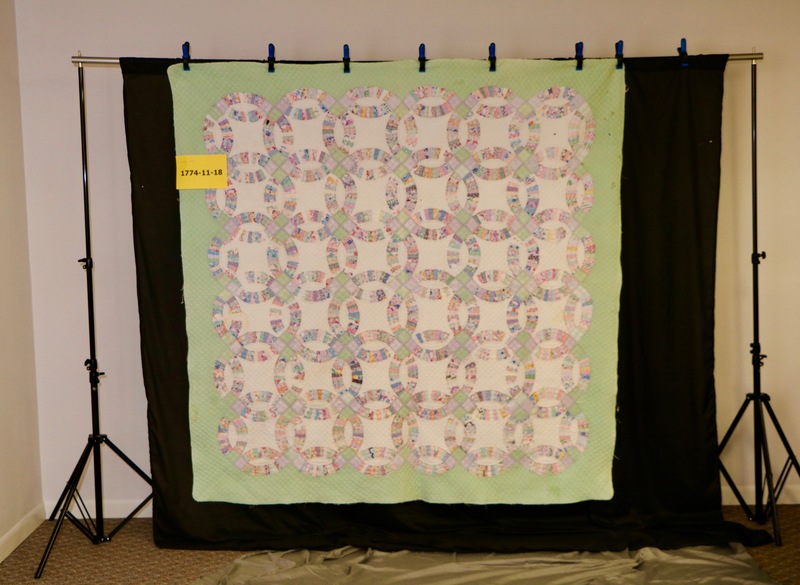 Our guild has been asked to assist in the preparation of blocks to be used in the Threads of Life Quilt. This is a project of Donate Life Northwest, which is the principal organization here in the Northwest for organ donations. 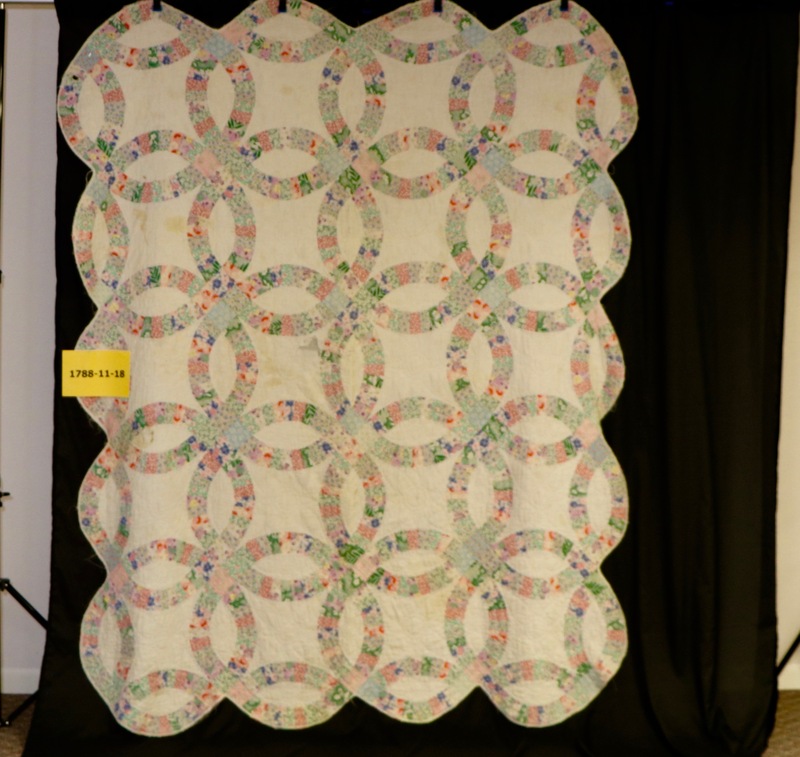 Both recipients and families of donors will be getting together to put together a block each, which will ultimately be put into a quilt that will travel around the northwest to promote organ donations. 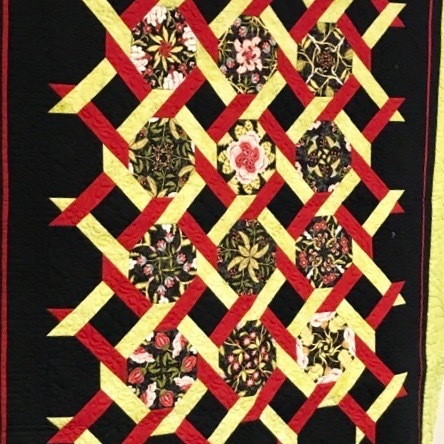 Many of these participants are not sewers or quilters, and the organization has requested that we supply 2 to 5 members to guide the individuals through the process of making a simple block. They are also asking us to bring 2 sewing machines. 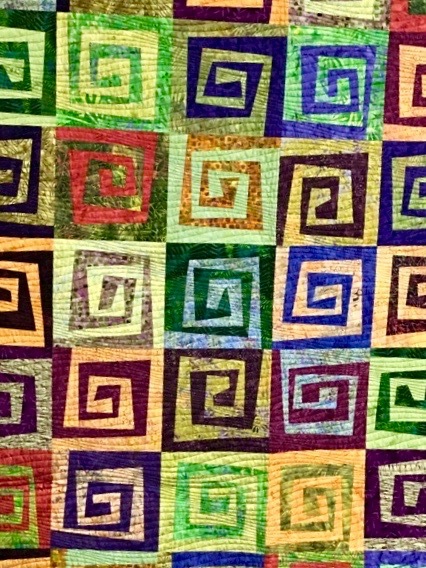 Community Quilters will be supplying some fabric scraps. This will take place on January 19 from 2:00 to 5:00 at the American Legion in Newport. Please call Sue at (661) 904-8130 if you would be willing to donate a couple of hours of your time to help out. First Thursdays: Thanks to everyone who has attended our 1st Thursdays! We have had exceptional turn-outs and we sure get a lot of stuff done, plus have a good time communing with our fellow quilters. Please join us on December 6 at Family Fabrics in Waldport from 10 to 2 or come and go as you like. See you then! I am ever amazed at the quick response and generosity of our guild. Just a few weeks ago, we had a request from the Oncology Dept at the Newport Hospital to make a little bag with a strap to hold a chemo drug pouch for cancer patients. I posted info on the need via our blog, made a pattern available at the guild meeting, and within a week, had 22 beautiful little bags in my hand. Our guild is so wonderful in support of our community and those in need. I can’t thank you all enough! 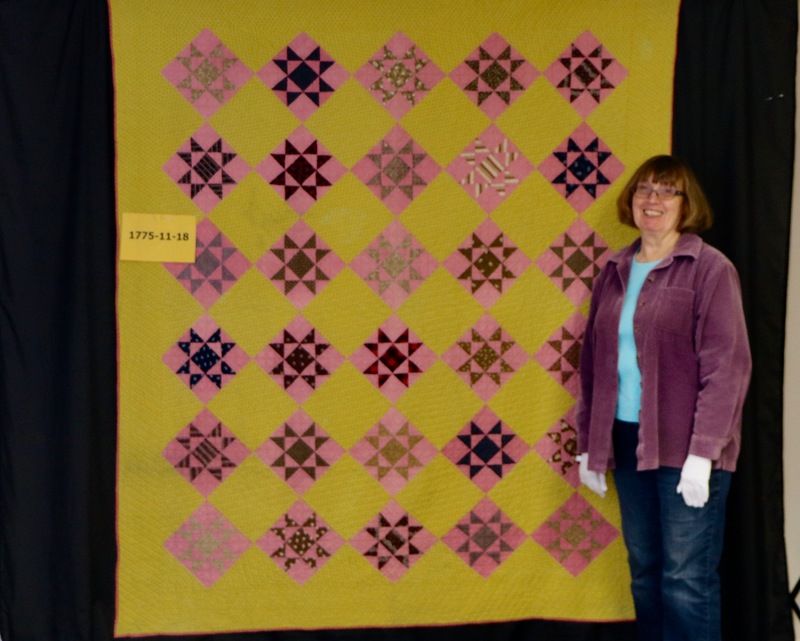 1800’s Log Cabin quilt owned by Beverly Simpson of Oregon City. The quilt was documented at November Documentation meeting. Finishing School is on vacation until January. Amish style quilt brought to November Documentation. Ruth Johnson reported that there are 190 paid members for the 2018 year. She has received 62 membership payments for 2019. Four new members joined at the November meeting: Janet Childers of Mapleton; Sandy Davidson of Florence; Lois Dress of Seal Rock and Susan Prukop of Lincoln City. Send your check and form to Ruth Johnson, 87945 Lake Point Drive, Florence, OR 97439. If you have questions you can email her at: johnson.ruth@yahoo.com. If you’d like to have your photo updated for the 2018 Oregon Coastal Quilers Guild Membership Directory please send a selfie to Ruth Johnson’s email. You can also have a new photo taken at the December meeting and can request a new name tag. Membership cards will be given upon receipt of 2019 membership dues. Advertisers Needed: If you know a business that might like to advertise with the guild, please let Ruth know. A full page ad is $100, a business card size is $25. 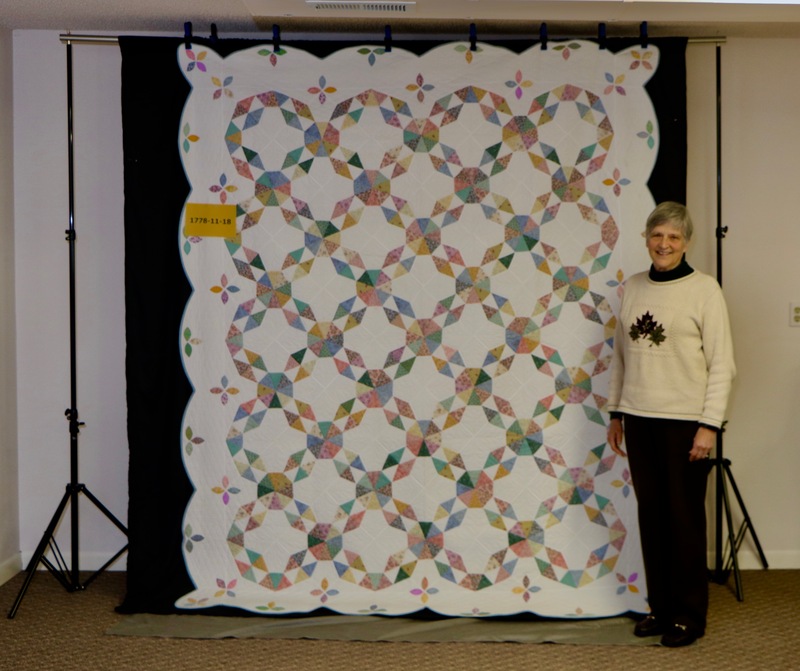 Velma and her exquisite Pre-Civil War quilt seen at November Documentation. We still need committee members for this committee. If you’re not involved in other committees please consider helping out. Well cared for Double Wedding Ring Quilt photographed at November Documentation. Gail Chipman won Four Patch with a Twist; Karen Oetjen won Seasons to Taste; Joy Peterson won Full Moon Rising. 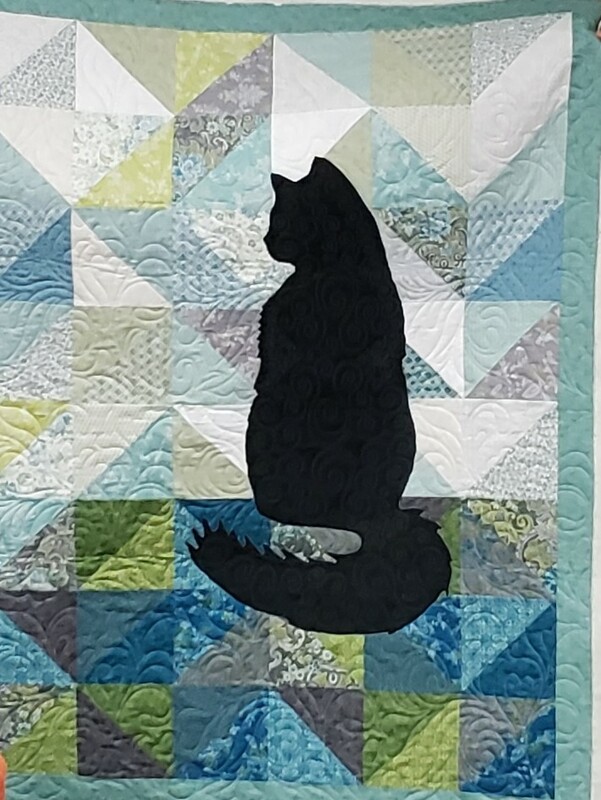 Marylynn Kleemann showed a Black Cat Quilt with kitty backing. Thank you to Linda Reeve, who took these photos and to Lee Palmer who edits and uploads them to the website. 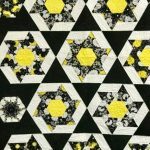 If you have a quilt that you’d like to have documented please sign up for one of our 2019 dates at the Carriage House in the Newport Museum. The dates are: February 9, April 13, June 8, September 14, and October 12. Please call Twy Hoch to sign up for a time. (541) 563-3899. Training Days on January 12 & 19th. 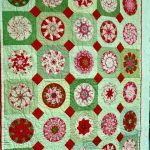 Do you love quilts? 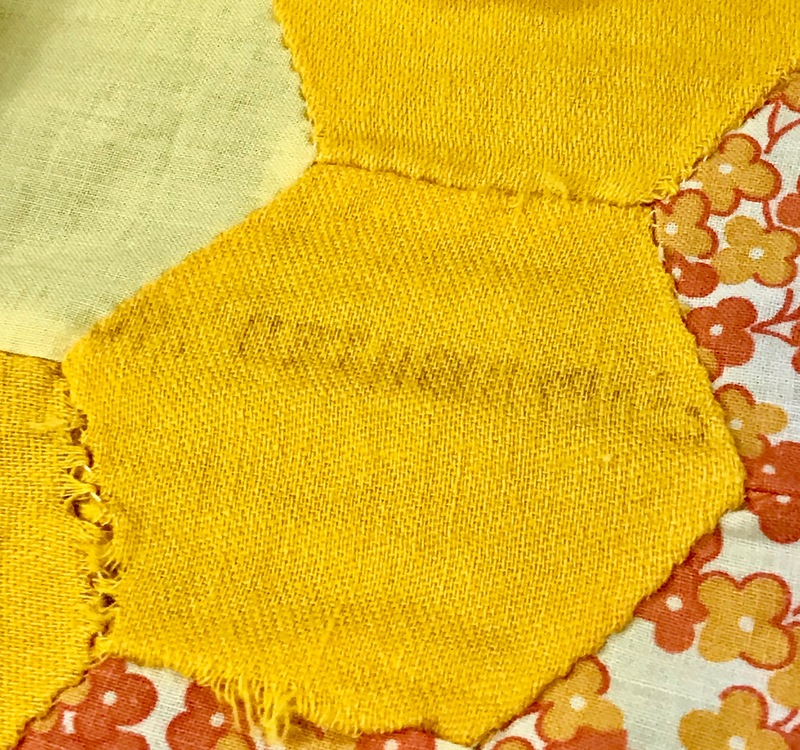 Do you believe in preserving quilting history for future generations? 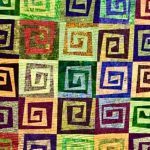 Have you ever rescued an old quilt? 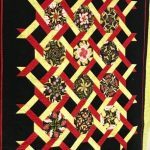 If you answered yes to any of the above questions then you may be interested in joining our Quilt Documentation team. 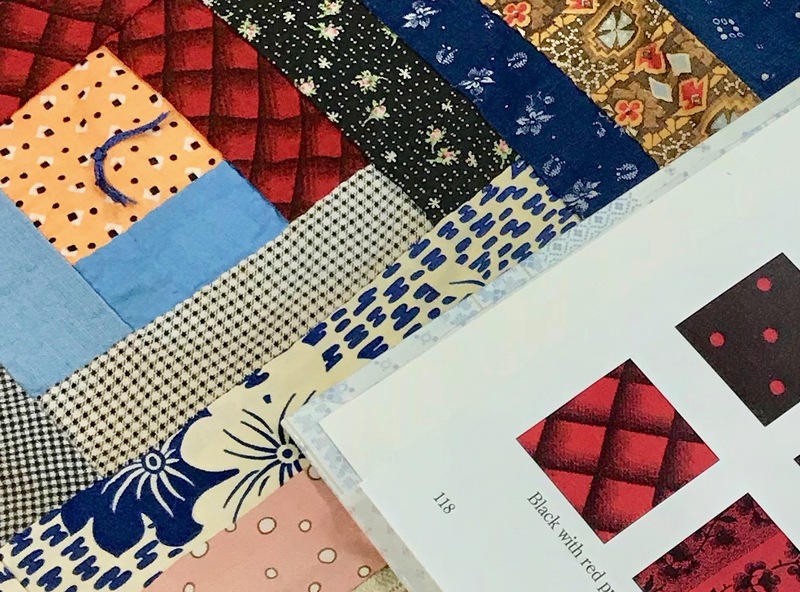 Velma Freudenthal will be offering classes on identifying and dating old fabrics, talking about the actual documentation process, how documented quilts get put into the Quilt Index and more. If you’d like to sign up for one of the classes and/or join the team please contact: Evelyn DePaolo, Twy Hoch or Velma Freudenthal. Close up of an old Grandmother’s Flower Garden. The stitching on the reverse side of this fabric was a clue as to the source of the fabric which may have been a feed sack. 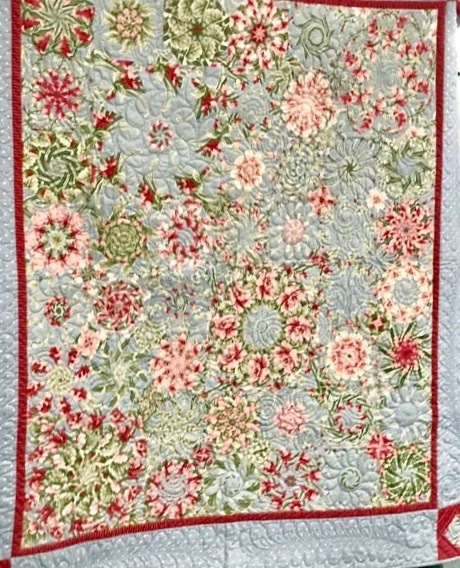 The actual fabric in this quilt was found in a resource book which dates the fabric from 1880-1910. 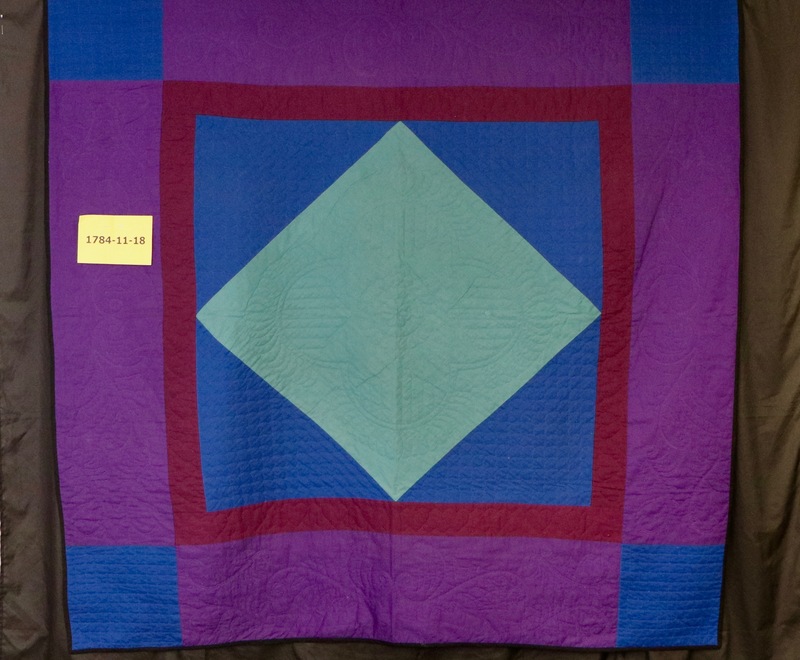 This quilt was bought from a vendor at the Waldport Farmer’s Market for less than $20.00. All the openings for the retreat are filled. I still haven’t heard back from one person on the waiting list so if you would like to go please contact me. Also, if you have a friend who isn’t a guild member but would like to come, have them contact me. My laptop crashed so I’ll be sending each of you an individual email with your payment information. Contact me if you feel your balance is different from mine. I’ll also have your class information and I’ll pass along whether I’ve received payment for the classes that you signed up for. 12176 E. Mapleton Road, Mapleton, OR 97453..
We’re looking forward to a fun relaxing retreat! That was Christmas long ago. Tell of Christmas long ago. For dreams of Christmas long ago.